As a young reader, almost everyone read mystery books. For many people, it was their first brush with the genre, even before shows like Scooby Doo first introduced kids to "whodunit" detective stories. Those books often were what they were: cheesy kids stuff filled with cliches, happy endings, and safe narrative paths. There was no risk involved, nothing to ever disrupt the precious status quo. 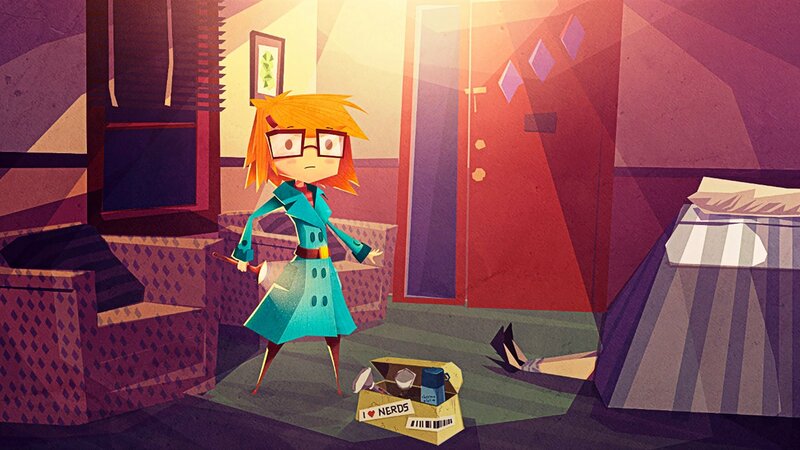 On the surface, that appears to be the idea behind Jenny LeClue: Detectivu. The premise is that she's the lead character of a series of kids detective stories, similar to Nancy Drew and the Hardy Boys (the mystery solvers, not the wrestlers). And while it looks like the player is about to step into her shoes to solve one of her mysteries, there appears to be a big twist in what's ahead. To get a taste of what looks to be more than a run-of-the-mill mystery, Shacknews visited the Day of the Devs booth at this year's Game Developers Conference. While the crux of the main story involved main character Jenny LeClue, developer Mografi gets a little more meta by also telling the story of Jenny LeClue series author Arthur K. Finklestein. Finklestein has doled out dozens of Jenny LeClue books, but to greatly diminishing returns. With his publisher threatening to cancel his book deal unless something changes, Finklestein is driven to drastically shake up his safe formula by promising actual murder. That leads into Jenny LeClue's home of Arthurton, where players are introduced to Jenny and her supporting cast of characters. They include her best friend Keith, who works his days dancing in a giant coffee cup costume; mean girl cousin Suzie; and a construction worker who keeps Jenny up at night by hammering away with his lucky wrench. A big part of this narrative-driven adventure is talking to these characters and choosing how Jenny interacts with them. Many of the dialogue choices in the demo were binary, but Mografi indicates that Jenny's various interactions will have their own sets of consequences throughout the story, with the idea being that players are writing Jenny's story as they go. There's a lot to explore in this world, all constructed with a distinct hand-drawn art style. The art stands out almost immediately in the game's opening seconds, where players follow a mysterious figure who is ominously following the shadows into a hidden lakeside hideout. There wasn't quite enough time to explore everything or talk to everyone in Arthurton. While the dialogue was engaging and the choices were fun, this is just a small peek into what the rest of Jenny McClue's adventure will contain. While dialogue scenes were straightforward, they'll get more complex down the road, with Jenny able to spot critical clues to help move her investigation forward. 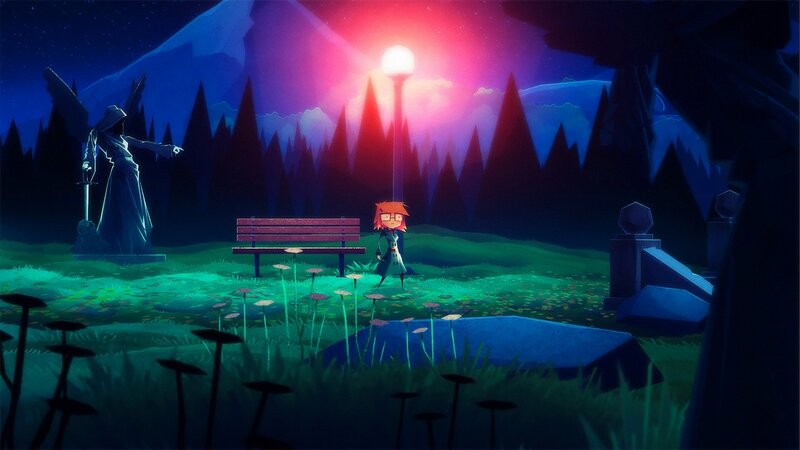 While games like Life is Strange and the various stories from the defunct Telltale Games encourage conversation, Jenny LeClue looks like it'll actively reward players for talking to everyone by helping move the mystery along. This is just the beginning for what should be an interesting journey. Jenny LeClue: Detectivu has been in development for several years, going all the way back to 2015. But there's finally a light at the end of the tunnel for Mografi, with their game set to release on PC and Nintendo Switch over the next couple of months. Look for PlayStation 4 and Xbox One versions to follow later.